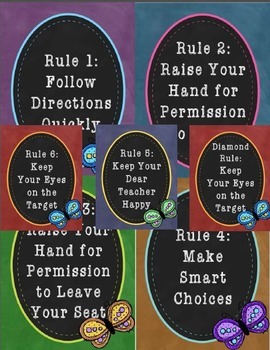 This is a set of a Whole Brain Teaching rules and it includes the new Diamond rule. I have included two formats of that rule, one calling it Rule 6 and one calling it the Diamond rule. In the spirit of WBT, this item will be free. I only ask that you provide feedback after downloading.